Please Click on the below link for full information, booking engine and map. www.pricepointeinn.org "LEAVE WITH A SMILE"
Specializing in saving you money no matter what your budget or situation! WE ARE NOT A FRANCHISE AND WE NEGOTIATE RATES WITH EVERY SITUATION.....STOP BY TO VISIT ,YOUR BOSS WILL BE HAPPY YOU DID!!!!! 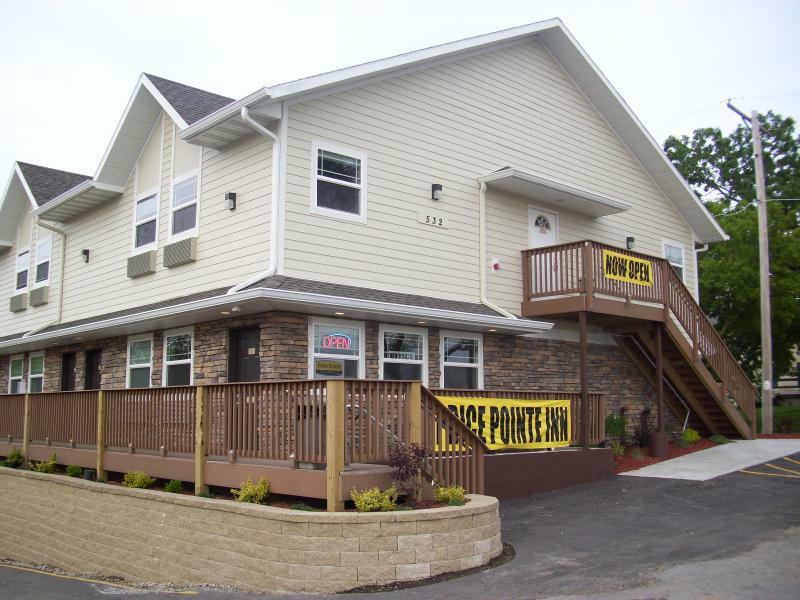 The PRICE POINTE INN is now open and ready to save you money . We focus on the business and weekend traveler tired of over paying for hotel rooms. Rooms will be a fraction of the "other franchises" with a lot of the same amentities. This Waukesha Hotel is much more than a" NO Frills" Budget Hotel . Set on 3 quiet acres right off of Bluemound Road (Hy JJ) you'll feel more at home than on the road. Located directly across from the Waukesha Airportand less than 1 mile from the expressway .You are within minutes of the Waukesha Expo Center, downtown Waukeshaand many local restaurants and businesses. BEER,WINE COOLERS.PIZZAS SOLD ON SITE! Our extended stay rates are perfect for the away from home traveler as we offer different rate packages to better suit your needs.